"10 Cloverfield Lane" breaks down the barrier for sci-fi (Courtesy of www.facebook.com/10CloverfieldLn/photos/). Do you want suspense, action, and humor all in one movie? Well let me just tell you that “10 Cloverfield Land” does just that and succeeds to break down every barrier standing in its way. How so may you ask? Well I’m just about to tell you. That idea is of aliens and “10 Cloverfield Lane” does a great job of extending the usage of aliens and also had a clever catch phrase for the film. That phrase is how ‘Monsters come in many forms.’ Now that is not talking about aliens here, it all connects to us; people. “10 Cloverfield Lane” breaks down the barrier for sci-fi (Courtesy of www.facebook.com/10CloverfieldLn/photos/). Now if that does not get crazy enough, let me tell you the plot. Man, I was so excited to see this movie and let me just tell you that I was not disappointed at all! My gosh, you have the main character, Michelle (Winstead), who at the opening of the film (you could tell) has a lot on her mind. Michelle quickly packs up her things, and is on the move, rejecting any call, text, you name it. But then as she is driving, a car slams into her, and as she tumbles off the road, her car flips over many times, leaving you to know that this movie is not a cruise through Wonderland, but something entirely different. The next second, you have Michelle chained up in a prison like room with an IV in her arm. As she wakes, she sees a man that will keep you completely guessing throughout the whole film. His name is Howard (Goodman). He tells Michelle that the outside world is destroyed due to a chemical attack by beings from the outside. All life is gone and no one lived. All except for Howard and Michelle who are in a doomsday bunker. Seems cozy right? Well Michelle surely enough does not think so. Howard gives her some food and she immediately starts to question Howard’s motives. But the journey of “10 Cloverfield Lane” does not end with Michelle being stuck in a doomsday bunker accepting the fact that the chemical attack actually happened. She soon meets country boy, Emmett (Gallagher) and over time the two start to form an immediate friendship that is loyal to their cause: getting to the outside world and wanting to not be entrapped by Howard who as the two learn, has a very dangerous nature. 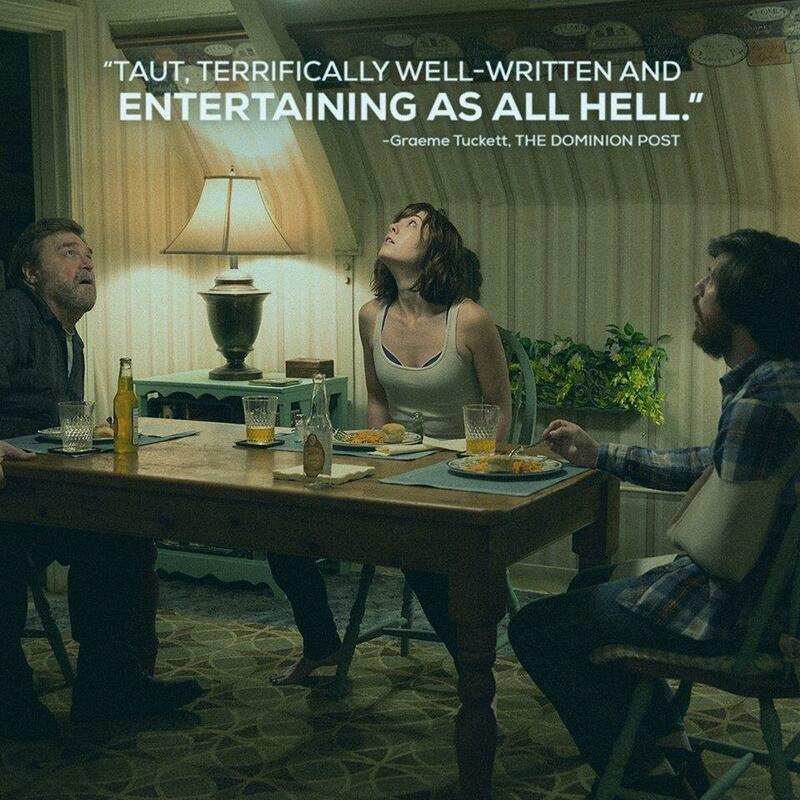 Become immersed in “10 Cloverfield Lane” (Courtesy of www.facebook.com/10CloverfieldLn/photos/). As the film progressed after the introduction of characters made me feel at peace. “10 Cloverfield Lane” did an amazing job with character development from the first 25 minutes, then the plot for the film was a slow uphill extravaganza. There are plot twists, truth that is revealed, action, and most of all; suspense. So if you are looking for a movie that leaves you sitting on the edge of your seat (or if you’re like me, hiding in your seat) then “10 Cloverfield Lane” is for you. 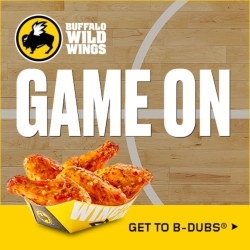 Let me just say that you will not be disappointed. I can tell because when the credits rolled and as I was leaving the theater, people all around me were saying ‘That was such a great movie,’ and ‘I cannot believe that Howard did that!’ Hence, you can tell that “10 Cloverfield Lane” does break down every barrier that stands in its way, and the film does that to connect to one major point: That all monsters come in many forms.